​Untouched snow glittering in the sun. A coyote in the distance careening down a snow-filled chute. Find yourself enveloped in Wilderness silence... a gentle rustle of the wind through evergreen trees as snow flits to the ground. This is the Olympics in winter. Come experience its raw beauty with our guides. Are you an asset in the backcountry? Could you save your friend in case of an avalanche? Our Beacon Skill Sessions are for backcountry users to practice with their avalanche rescue tools in a controlled, mentored session. 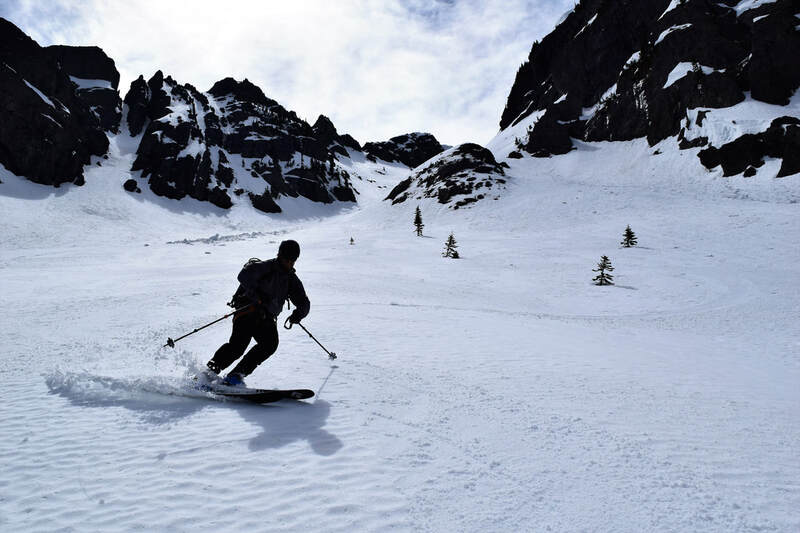 Our Intro to BC Skiing sessions are for both novice and experienced backcountry users to learn and refine skills in a controlled, mentored session. 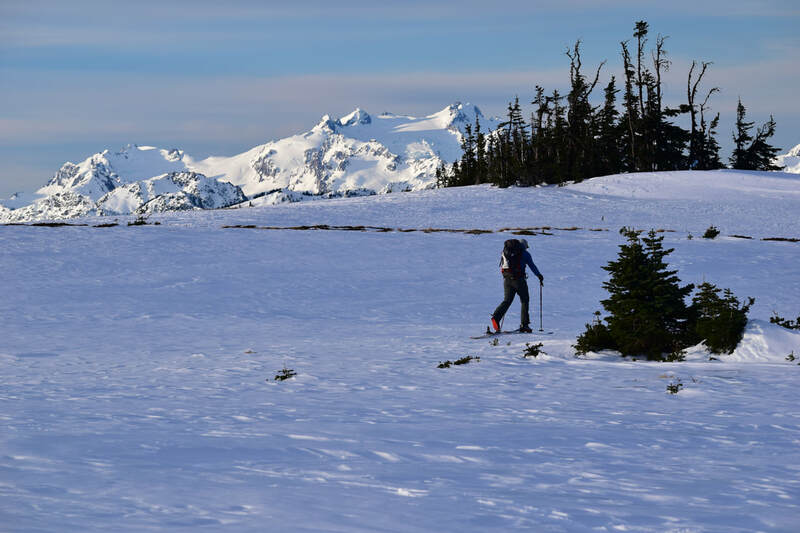 Location: Hurricane Ridge Area - your guide will select the best itinerary for your skill level and the day's conditions. Dates: We can do our classes on most days the Hurricane Ridge Road is open! ​Please contact us to schedule. Price : $325 (4 client maximum)​. Dates: We offer tours most days the Hurricane Ridge Road is open. ​Please contact us to schedule! 2018 Prices : $325 (4 client maximum). A 5 day ski tour into the Olympic Interior. CUSTOM TRIPS AND DATES ARE ALWAYS AVAILABLE. 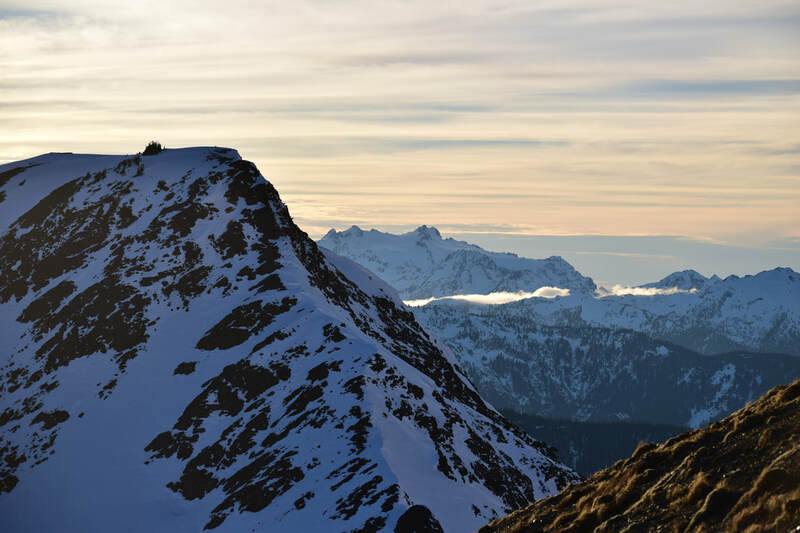 ​* Dates for winter backcountry ski trips are subject to change. Multi-day ski trips must be paid in full within 14 days of departure date. Multi-day ski trips cancelled greater than 14 days from departure are refundable minus the 25% registration fee. Multi-day ski trips cancelled within 14 days of departure are non-refundable.